Location: The Venetian. 546 River Dr, Garfield, NJ 07026. Keywords: 10 10 09 (537), beautiful (546), bride (546), ceremony (543), christopher (537), Design House Decor (36), emotion (546), fun (546), getting ready (546), groom (540), muslim wedding (48), nicole (537), NJ wedding (543), nyc wedding (552), NYC wedding photographer (39), pa wedding (546), pakistani wedding (51), party (546), people (546), saint barthalomew's church (537), Southasian wedding (48), SYPhotography (177), The Venetian (24), wedding (546), wedding photographer (549), Wedding reception (30), wedding waldorf astoria hotel (537). 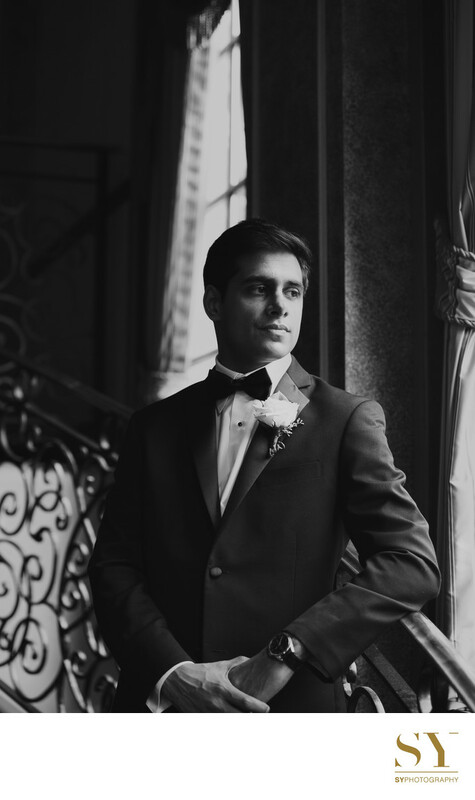 Filename: 022 NYC groom portrait black and white photograph SYPhotography.jpg.